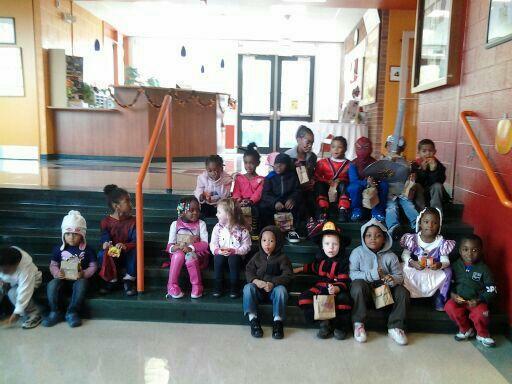 Our First Church preschoolers had a blast today walking to our Main Office in their Halloween costumes and then down the street to the public library for an impromto story! 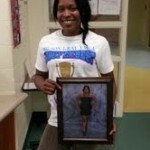 Roxy Byrd and Brandi Savage are consistent faces at Wilson Gray YMCA. You can catch them in the front row every week, with the biggest smiles in the room. But they weren’t always this happy to be in the wellness center. There was a time when you could never catch them anywhere close to an exercise class. Just a year ago they were both out of shape. They realized that they were in need of a change when they couldn’t shop in any other section other than the plus size section of the store. This was not the route they wanted their lives to take so they quickly decided a healthier lifestyle was needed. Their first focus was their diet where they admitted to having poor eating habits. Their common mistake was meals that consisted of an abundance of simple carbohydrates, high in fat and sugars; and their serving sizes were too large. Coupled with inconsistent, sporadic eating patterns was a hallmark of their daily eating pattern. The first step began with their food preparation, each of them chose baking and grilling meats, rather than frying, plenty of fruits and veggies and they drank at least a galloon of water a day. They also began an eating regimen of 3 meals a day while incorporating healthy snacks in between. Their junk food diet days became a thing of the past. Their next focus was becoming physically fit and Ulandi, a Zumba instructor, provided the much needed inspiration for both of them to get in shape. They saw before and after pictures of her and that encouraged them to lose weight even more so. She always had supportive words, offered to walk and run with them. 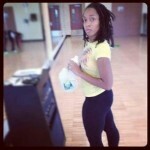 Brandi and Roxy became instant work out buddies and pushed each other day after day to get in shape. They attended group exercise classes with Dwight, Ulandi, and Sistah Flyy, that provided strength and cardiovascular training. After a few months of hard work and dedication, their physiques changed tremendously and consequently their energy and confidence soared through the roof. They could no longer fit their clothes and they stopped shopping in the plus size section. Brandi started out weighing 187 and after her lifestyle change, has lost 40 pounds. Roxy started at 236 and after dropping close to a hundred pounds, now weighs an amazing 139. They learned a lot about themselves after this life changing experience. They are stronger and more resilient that they expected and are basking in the fruit of their labors. 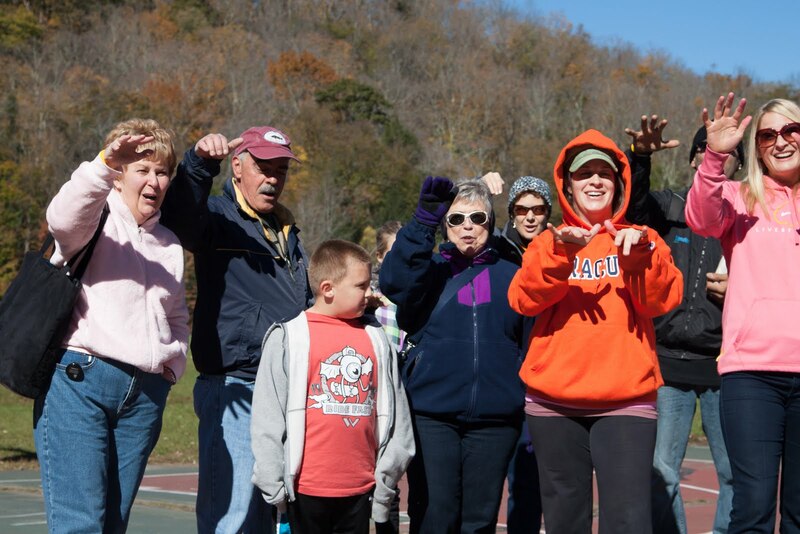 They have become an inspiration to the rest of the YMCA family and community! Kelly hated running, but to lose weight, she joined our Running Training Program this summer and completed her first 5K in August. Buoyed by success, Kelly then joined our Spooktacular Training Program and got ready to run our own 5K trail run this October. Two weeks ago, Kelly’s husband Jim was struck by a car while walking into the South Windsor High School building after setting up the lower field for his Phys. Ed. class later that morning. Jim’s scull was fractured and he was rushed to the hospital, spending several days in ICU, critically ill. Doctors would later tell Kelly that the family was lucky Jim survived, as the injuries he sustained usually result in death. 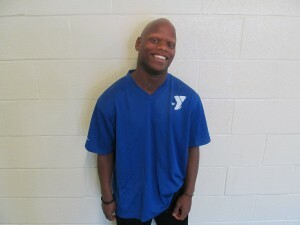 In the summer, Kelly had elected not to join the Y, but to participate in our race training as a program member. Before calling Kelly to see how the Y could help in this time of uncertainty, I spoke with Lisa, our Membership Director. Lisa suggested offering a 3 month free membership to Kelly and her family. When I called Kelly and told her what the Y would like to do, she broke down immediately, barely able to express her gratitude at being able to have somewhere to bring her 4 month old and 3 year old. Right away, Kelly started imagining her husband using our therapy pool to regain his strength and play with their children. I’ll admit it…I was crying too. Well, Kelly arrived bright and early Sunday morning, with 14 of her friends, all ready to run in honor of Jim and in hopes of a full recovery. 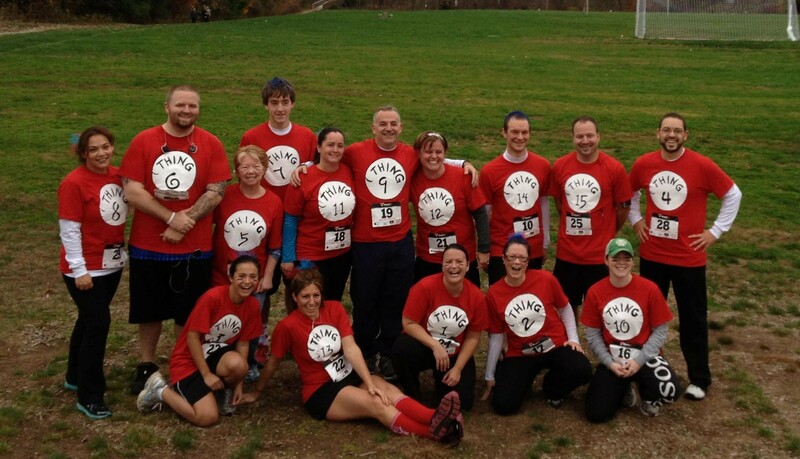 We all dedicated the race to Kelly, Jim and their family…yup, the first lap was a mess with most of us in tears! Here’s to you Jim! Can’t wait for you to join us next year! We had a Halloween Costume contest this morning at 5:45 AM and particpants cycled for 90 minutes in full costume- what a blast! 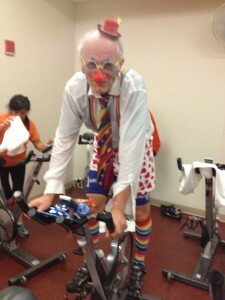 Cyclists were dressed a pirates, butterflys, and the winner…..a clown! John is an avid cycler here at Downtown, yet he always rides at the lunch hour. This morning, John decided to engage in the contest and come in early! It paid off as he was the winner, but he also started off his day with giggles, friends, and fitness! 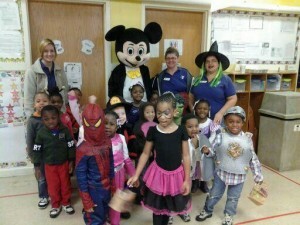 Thank you to all our morning particpants in the Halloween Ride! These are the events that make a difference. The 2nd Graders Are Coming! About a month ago, I received a phone call from my daughter’s teacher from last year. Miss D. explained that the 2nd grade was in the process of working on their Community unit and wondered if, in addition to the Police Department, the Firehouse, and the Plainville Public Library, they could also visit the Y. I was so thrilled – how terrific to know that teachers are thinking of the YMCA in terms of a community destination. I spoke with our Youth Development director, and we made a plan to welcome 81 kids. Two buses arrived at about 11.30am, and Shane and I welcomed the students win typical Wheeler Y fashion – clanging cowbells, cheering, waving giant clappers, and generally being as obnoxious as possible. The kids (and their chaperones!) were a little taken aback, but they quickly realized this was going to be a lot of fun. Shane took one group out to the field to play some fun camp games, and I took the other group through the building on a tour. I had arranged a sort of scavenger hunt for the kids – a list of items that could be found around the building. How much fun we had! 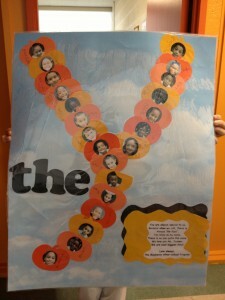 Many of the students hadn’t been to the Y before, and it was amazing to see our facility through their eyes. They really tried to be on their best, most quiet behavior, bust some of it was just too much for many…”OH MY GOSH LOOK AT THAT GIANT MUSHROOM POURING WATER!!!! !” and the like could be heard all through the building. As they were gathering to depart, I encouraged the kids to ask questions. I couldn’t have been more surprised when so many hands went up – dozens of seven-year-olds had more to say than I could imagine. “How can I come swimming?”, “Do you get free Subway?”, and my personal favorite, “That sure is a lot of toilets you have here.” What a treat – another perspective is sometimes just what we all need. I thought I already knew it, but I didn’t realize just exactly how cool this place is. Every October, we hold our Annual All-Staff meeting. It’s always held at 6pm on a Sunday in order to allow every staff member to participate. Typically the meeting is held in our gymnasium, and over 100 staff members sit on the floor and struggle to hear presentations and updates in the acoustically-challenging environment. The meeting ends with employees filing out, having hopefully taken a nugget or two of positive thought with them, but essentially leaving them flat. This year, our Leadership Team decided to change the format in order to have the meeting be interactive and engaging. We divided the staff into four groups and had ‘stations’ in different rooms of the building. Every 15 minutes, each group would rotate to the next station. Directors had prepared presentations and activities on subjects such as SEER results, SKC education, and LIVESTRONG awareness for each group. 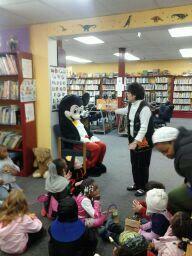 We thought this would provide a smaller, more intimate setting in which to learn and interact. Boy, were we right. Kaitlin and I were thrilled to be hosting the Living Our Cause piece of the meeting, and we focused on the “Listen to Staff Stories” segment from the “Tell Stories” toolkit. Due to time constraints, we reviewed the material and modified the activities into a concise, (we hoped) effective presentation that would be helpful for both staff education and information gathering. We began with a very short explanation of Living Our Cause, and did a Big Picture Deck activity with the question, ‘What motivates you to get out of bed and come to work every day?”. After cards were chosen, a few members of the group would share their own story of motivation. We could see the ‘lightbulbs’ going off…sometimes in the bustle of daily operations, we forget the ‘why’ of what we’re doing. I advised everyone to take 30 seconds at the beginning of each working shift to think about their motivation; smiles grew and heads nodded. We moved on to a brainstorming activity – on a pad, I had written “I would like to see us focus more on _____________ because: ” Most of this, Kaitlin and I assumed, would be relative to community collaboration with regard to our areas of focus. What resulted was nothing short of astonishing. Every single group, independently of each other, brought up the subject of internal homogenization. Evidently, our staff feels very compartmentalized; of course! We’re open for 106 hours a week – each week only contains 168. Of those 106 hours, we have folks coming, going, teaching, talking, answering, calling, listening, writing, reading, walking, singing, and a plethora of other tasks that make up our work. In addition, we’re physically spread out – some of our staff members are at school sites, others are WAY back in the functional training room, still others are in a small house next door caring for infants. It’s a small wonder that all of our hundred-fifty-some-odd employees are unsure of exactly who their co-workers are. The conversations that took place were amazing – not simply in that our staff members recognized this, but that they genuinely felt as though it would benefit them as employees to have this improved. Staff members said things like “I’d feel more vested”, “It would lead to a greater sense of ownership and pride”, and “We WANT to be more part of what we do!” We were floored. Our purpose with this was not only for employees to reflect on their roles here, but to also gather information on their own thoughts. Perhaps we’ve got someone who has been in child care for several years, but has a background in multicultural education. That employee might very well be suited to working with our volunteers for our Indian events. The MSR who answers the phone may have a strong passion for environmental services and could be an enormous asset to our Pioneering Healthy Communities involvement. We wanted to be intentional in finding out more about our employees as it pertains to their job functions. As the results are returned, we will compile the information and go forward with more clarity. A get well soon card for our dear office manager Joanne who is battling cancer, created by our fantastic YMCA Mayberry School Age staff and children! We love you Joanne! This week we will highlight Anthony Lodenquai. 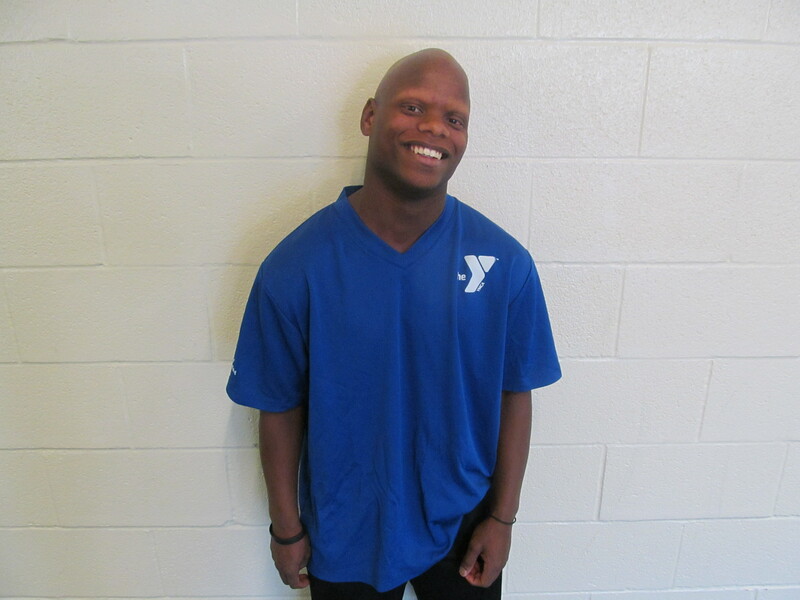 Anthony, also known as T.J. is a special young man who came to the YMCA through the Catholic Charities, a program in which troubled youth turn their lives towards a brighter path. Coming from an uneasy past, T.J. turned his energy towards a positive direction. With a gift for writing, he has found a way to elegantly express his thoughts and emotions through poetry. Here is one of his proudest pieces entitled “Greatness”. Do you want a sweet life with savory goodness? Meaning it’s in your veins. Greatness in me, how far will it go? What an honor it was to spend our Saturday with over 70 survivors and family members as we celebrated the First Annual Survivor Fest at the absolutely beautiful Camp Jewell. The pride of being a survivor and the pride of being involved in the LIVESTRONG at the YMCA was evident. 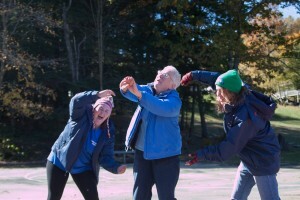 In true Camp fashion, we engaged in relationship building activities to demonstrate common bonds. The activities included a mingling by hooking pinky fingers and grouping by specific topics, such as favorite animal, cookies, and states. Once grouped by “favorites” the group had to create a quick team ditty and then share it with the entire group, again as a team. Each ditty was fun and caused the team to learn and bond, bridging the typical barriers of relationship building. When school year begins each year, YMCA friends from years past often return. But, we also get some new friends. Our friends vary in age and often we have a large number of first and fifth graders, with only a few children in between. This year at Highcrest, we have mostly first and second graders. These kids often look up to the older kids in the program for approval and guidance. Just the other day, I witnessed a prime example of this admiration. One of our friends was diagnosed with Diabetes last spring. After a summer full of tests, she returned to school this fall with a new accessory: an insulin pump. On her first day at the Y her father told staff all about her pump. You could tell she was a little embarrassed by her new accessory and was trying to hide it as much as possible. One of our older friends, who also has Diabetes, overheard my conversation with the father. We finished our conversation and the father left. I asked the little girl if she wanted some breakfast; she looked down hesitantly at her pump. Before I could respond, the older boy came over and said “Did you just get the pump?” The girl nodded her head yes. He pulled out his pump and said “I have one too! Its so much better. Trust me!” When she heard this, the girl immediately relaxed. Seeing another friend, an older friend, with a pump, offered the embarrassed girl a sense of comfort at the Y. The boy had made having a pump cool. Later, I thanked him for being so sweet to the younger friend. He just smiled and acted like it was nothing. Everyday they both say hello to each other in the morning; they don’t often play together, but you can tell that this brief interaction was extremely impactful. Watching this reminded me of how great watching these children grow up together can be.